Nous Nous by DE SIGNER is fun. The album is repetitive at times and a bit drone-y; however, it is certainly the type of album you’d hope to hear when out with your friends or when looking to replicate the experience at home. Title track “Nous Nous” maintains a strong drum line throughout the track. Fans of the drum and bass genre will certainly feel at home with the way the rhythm never dies. “Bang” also brings new dimensions to the album as well as a sound reminiscent of VNV Nation. 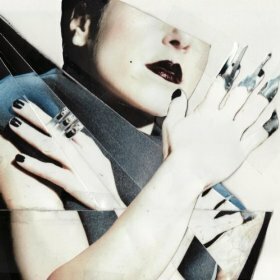 “More Devotion” continues down the line of romantic, darker electronic sounds. My favorite part as a reviewer about this album is the way that it flows together as one piece. It would be a shame to have any of these tracks pop up on random without the rest of their pieces. “Last Train” is another album stunner with a 1980s dance feeling mixed with a more modern synth feel. If you’ve been looking to get your morning dance routine on while getting to work, you may have found the album for that. If you are a fan of electronic music that you don’t have to think about too much or lose yourself in, look to Nous Nous from DE SIGNER as a new contender for your favorite album.